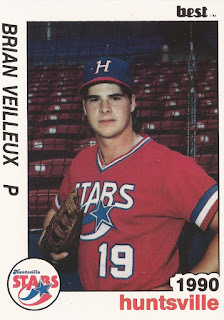 Brian Veilleux helped his Texas Christian squad in this April 1987 game, both on the mound and at the plate, according to The Oklahoman. Veilleux took the win on the mound, The Oklahoman wrote. He sealed the 14-7 victory by hitting an eighth-inning grand slam. Veilleux went on from TCU to turn pro. His pro career, however, lasted just four seasons. He made it to AA, but no higher. Veilleaux' professional career began in 1987, taken by the Athletics in the 16th round of the draft out of TCU. Veilleaux started with the Athletics at short-season Medford. He got into eight games in relief, giving up seven earned runs in 13 innings. He moved to single-A Madison for 1988, getting into 16 outings, starting 13. He went 5-6, with a 2.92 ERA. At single-A Modesto in 1989, Veilleaux picked up six wins to four losses in a return mostly to relief work. In 30 outings, eight starts, Veilleaux turned in a 3.09 ERA. 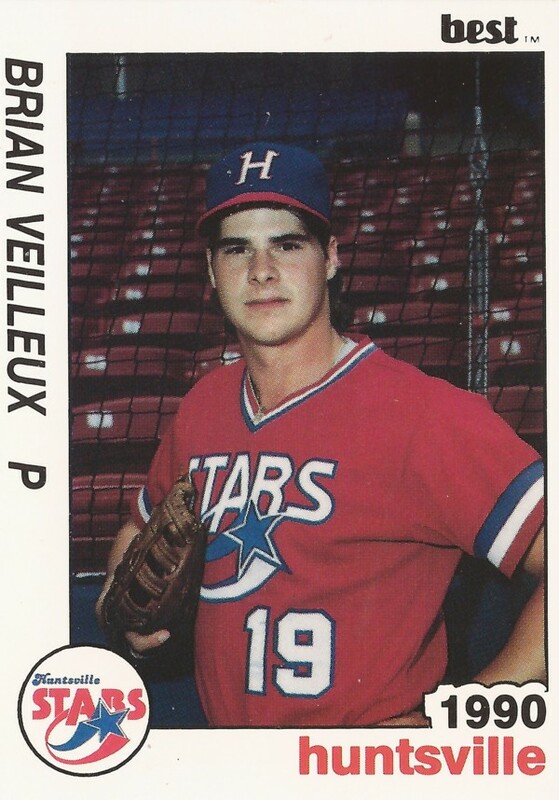 Veilleaux' final season came in 1990 at AA Huntsville. He got into just 11 games, all in relief. He gave up four earned in 11 innings of work, ending his career.